DIY Car Service Parts. Lambda Sensors. Spark Plug Tools. Glow Plugs. Spark Plugs. 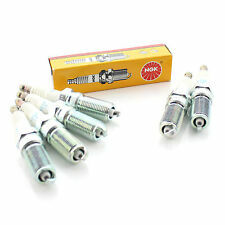 Denso Glow Plugs. Champion Glow Plugs. 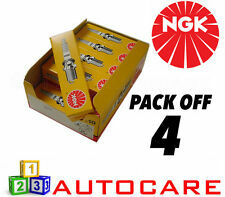 NGK Glow Plugs. Bosch 0227921016 ident AS. Opel Monza, Vauxhall Senator approx 1984-87 with Bosch LE injection from chassis E1019586. Not fitted to earlier models. 25E & 30E 2.5/3.0-litre 12-valve straight six engine; early Monza, Senator A to 1987. FIAT FIORINO 1.3 D. FIAT FIORINO 1.7 D. FIAT DUCATO 10 D. FIAT FIORINO 1.7 TD. FIAT DUCATO 10TD. Part Number OEF300. IGNITION LEAD SET FOR OPEL SENATOR 3.0 1985-1987. Number of Leads 7. Year 09/1985-08/1987. Drive Rear Wheel Drive. Body Type Saloon. Model ENATOR A (29_). Model Code C 30 LE. Opel Senator A A Saloon 2.2 TD 84-87, -> to construction year: 02/1987. Tightening torque from [Nm]: 3. to Tightening torque [Nm]: 4. Overall Length [mm]: 72. Spanner Size: 12. However delays are occasionally inevitable due to unforeseen circumstances. OPEL 1282380, 90102297. OPEL SENATOR A (29_) 2.5 E Saloon Petrol 01/1983 08/1984 RWD 12 136 100. OPEL SENATOR A (29_) 2.5 E Saloon Petrol 09/1984 08/1987 RWD 12 140 103. OPEL SENATOR A (29_) 3.0 E Saloon Petrol 02/1978 12/1986 RWD 12 180 132. HT Leads Ignition Cables Set VE522336 Cambiare. OPEL/VAUXHALL 1612430 1612476. Part Number VE522336. GENERAL MOTORS 90296017. High Volt OEF300. VAUXHALL SENATOR 3.0 i Saloon Petrol 09/1984 12/1986 RWD 12 180 132.